The Inzovu Curve is a model that maps specific designed activities to the emotional response of the individual experiencing them. Each individual has a completely personal baseline that is a neutral starting state. 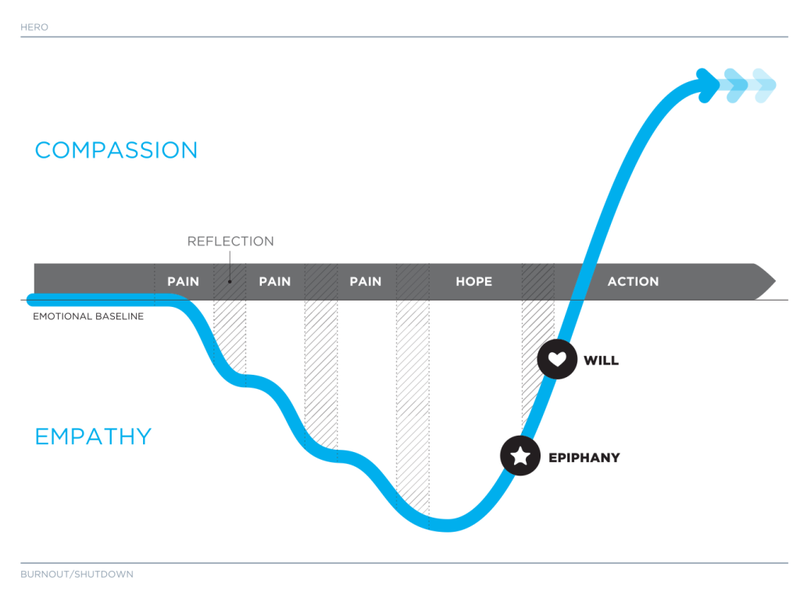 The vertical axis then maps below the line the intensity of empathic response, down to the potential burnout or shutdown; and above the line the intensity of compassionate disposition. The central sequence represents the various stages of the lived experience: pain, reflection, hope and action. There are two key moments in the process from awareness to action: the epiphany and the will.